How come that this one was moved from Chlamisus. And the very similar looking one didn't? Plus the fact that Chlamisus doesn't occur that far north? Hi Jim, I showed this picture to Dr. Daniel J. Funk, a Chlamisine expert at Vanderbilt University and he determined that this is a specimen of Chlami*sus (probably C. foveola*tus). This is a really cool find, since no Chlam*isus species are known from that far north! 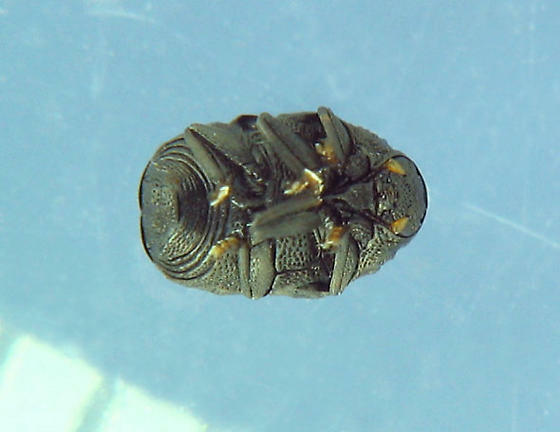 C. foveolatus is the closest in range, but only recorded as far north as southern NJ. Have you seen that species often? Any chance you might find them again? ?